PRECISETOOL G196 GO-NOGO Gage-Jiaxing Jingrui Instrument & Equipment Co., Ltd.
5. Small size, easy to carry, convenient to outdoor use. G196 is designed according to M22520/6-16. Each crimp tool has accurate intender working diameter. The gage is necessary to ensure the crimp tool is in proper working status before using or after being used for a certain period of time. 1. Operate the die to be calibrated in working condition. 2. 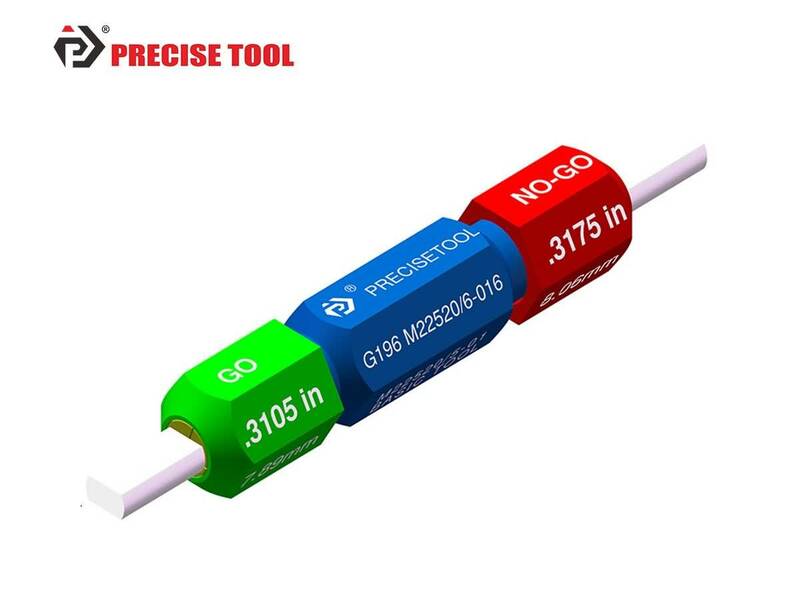 If the “GO” gage end (Green) can pass freely, but the NO-GO end (Red) can not pass completely, it means the tool is still qualified. 3. If the “GO” gage end (Green) can not pass, but the NO-GO end (Red) can pass completely, it means the tool is not qualified. 1. After using, the gage should be put into the special tool box to prevent the bending deformation of the gage pin. 2. Regularly wipe with antirust oil to ensure that the surface of gage pin is clean.